Essential oils are the lifeblood of plants. They are the immune system of the plant and the building blocks of the plants DNA. They are anti-viral, anti-bacterial and anti-fungal, yet don’t kill friendly bacteria needed by the body. Essential oils have been in use as far back as time can be traced. They are extracted from various parts of the plants and flowers and used for medicinal treatment, pain relief, calming, uplifting, insect repellant, cleaning, perfume and so much more. God has blessed this earth with wonderful healing plants and flowers. Why not learn to use a God-given legacy of our planet? Always purchase essential oils that are organic or wild-crafted, containing nothing artificial, no extenders or additives and haven’t been grown or extracted using artificial or harmful chemicals, fertilizers or solvents. These, in my opinion,will be the purest, best and have the highest frequency when compared to other essential oils. ESSENTIAL OILS are an easy way to help your body’s immune system to stay in top shape. They are the lifeblood of the plant kingdom, full of health and vitality. These marvelous oils help us deal with stress, anxiety, depression and fears better. They are highly anti-oxidant (according to studies produced in Cairo University, Egypt), will aid in eliminating parasites and yeast overgrowth, will actually strengthen the immune system as well as kill airborne pathogens. Through the regular use of therapeutic grade, pure essential oils we are able to live a healthier life. There is a wide range of essential oils and essential oil blends to aid the body in working at its optimum. The FDA allows up to 73% dilution (of who knows what) for essential oils sold in the U.S.? The TruEssence brand of essential oils, from ForeverGreen, uses organic or wild crafted herbs and flowers for their essential oils. * NOT ALL ESSENTIAL OILS ARE SAFE FOR INTERNAL USE! *** Remember: When applying oils on children, the elderly and infirm, they must be diluted 50-75%***Not all essential oils are safe for use with pregnant or nursing women. ***Ask an aromatherapist for help if you are not sure of how to use an essential oil or about the safety of its use. DILUTE – The majority of essential oils need to be diluted for use on children. Below you will find a basic formula for dilution rates. What do you dilute them with? You use an oil that will add to, not detract, from the essential oil’s use. These oils are called CARRIER OILS. Some CARRIER OILS that work well are; organic jojoba oil, grapeseed, coconut, sesame, apricot kernel, peach kernel, wheat germ, avocado, carrot, sunflower, sesame, St. Johns’ Wort, sweet almond oil, or calendula oil. Use only ORGANIC oils as these will be a much higher quality and have no fillers. You may also use organic olive oil but it is a thicker oil and takes quite a while to soak into the skin. I would only use this to dilute an essential oil if there was nothing else available. Carrier oils also extend the essential oils when applied to large areas, such as in massage. full strength essential oils nor most medications. Dilute the essential oils when applying to children, elderly or people with poor immune systems. Their bodies just can’t handle full strength essential oils. Lavender is one oil that doesn’t need to be diluted. It can always be used when you have no other essential oil or have no idea what oil to use. It is known as the “Divine Mother” and is very caring, healing, calming and nurturing oil. **Some oils are considered HOT oils. These are Oregano, Thyme, Clove Bud, Cinnamon, Spice of Life, Lemongrass and a few others. You should dilute these oils, with Message or carrier oil, before use. If you get a HOT oil onto your skin then don’t put water on it. The water will actually add “fuel to the fire.” Instead dilute with Message oil or any carrier oil you have, including olive oil. HOW TO GET 1 DROP OF OIL? It is often tricky to get just 1 drop of essential oil from the bottle. Some oils are thinner than others and sometimes the orifice (plastic dropper) has larger holes than others. I suggest holding the bottle on its side and slowly tipping it downward until you get 1 drop or however many you need. You may drop the oils onto your hands or onto a specific part of the body. Don’t allow the orifice to touch the body, just allow the oil to drop freely. HOW TO TAKE CARE OF MY ESSENTIAL OILS – Store the oils, tightly capped, in a cool, dark area, away from sunlight. Use the oils lovingly. People with a “sour” attitude can literally turn their rose essential oil sour! Of course there are oils to help with that “sour” attitude. Most oils will last 5-10 years, if properly stored and tightly capped. However, citrus oils have a shorter shelf life, up to 3 years. BURNS – Lavender, lavender, lavender. Immediately after being burned, it is important to stop the continued burning of the skin. Do this by gently running cold tap water over the burn for about 10 minutes. Apply lavender liberally (several drops, depending upon size of burn) to burned area. Lavender is a tissue regenerator for dead, burned or scar tissue. 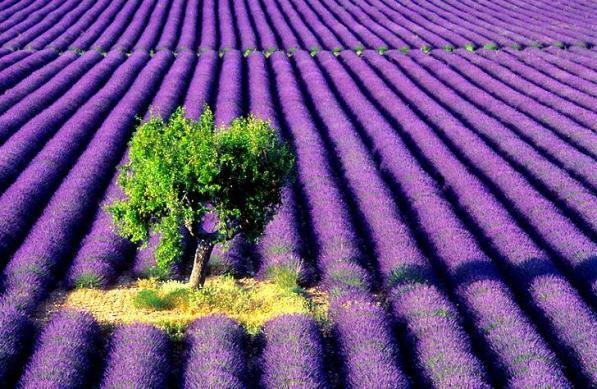 Lavender will also calm the person as well as help take the pain away. If the pain continues, add a drop or two of Peppermint oil, which will “cool” the burn and help alleviate more pain. Don’t use peppermint oil on the face! Continue to apply lavender to burned area several times per day. You will be amazed at how quickly the burn heals. Continue to apply lavender at night until the burn is gone. CUTS & SCRAPES – Apply Lavender and/or 1 drop undiluted Tea Tree essential oil on a minor cut (one not requiring stitches). This disinfects the wound. Apply Tea Tree/and or Lavender oil several times the first 6 hours to minimize chances of infection. If there is heavy bleeding, apply 1 or 2 drops of Geranium. It may bleed a lot at first and then will stop almost immediately in most cases. The sudden onset of bleeding is the body’s way of cleansing the wound. Is SNORING a problem for you? Try putting 1 drop Eucalyptus under your nose, another at the back of your neck at the hairline, and another on the top of the ears. It really works and amazes most people. There are other remedies but this one seems to do the trick for most people I have worked with. BLOOD PRESSURE TOO HIGH? Lavender-reduces blood pressure – put on temples across shoulders, back of neck and bottom of feet. Do this application to drastically lower HIGH blood pressure quickly! This isn’t for daily reduction. Améo’s all-natural Fractionated Coconut Oil allows you to experience the health, beauty and wellness benefits of essential oils topically and internally. Use it to dilute skin-sensitive essential oils before applying directly to skin to help avoid interactions. Améo Fractionated Coconut Oil is a rapid-absorbing, thin and stable carrier oil that leaves the skin feeling smooth and hydrated when applied topically. It is mostly odorless, colorless and has a nearly indefinite shelf life. Combine Améo Essential Oils with Améo Fractionated Coconut Oil as directed before applying topically. Massage into hands or fingertips and apply or massage as directed, depending on which oils are used. To consume internally, add to an Améo Veggie Cap with other internal-use Améo Essential Oils. Can be applied directly to affected areas to calm sensitive skin that reacts to essential oils. Note: Améo Fractionated Coconut oil should be used for topical and dietary use only. If pregnant or under the care of a physician, consult your medical practitioner prior to use. Améo Fractionated Coconut Oil is considered generally safe for use with children aged 2 and above. If any reaction or adverse effect occurs, discontinue use. These statements have not been evaluated by the FDA. This product is not intended to diagnose, treat, cure, or prevent any disease.